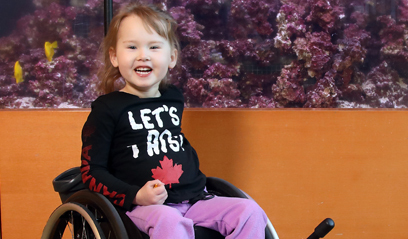 Help raise awareness and support spinal cord injury research and education for children like Julia. The Kennedy Krieger Foundation is a 501(c)(3) nonprofit organization. Dr. Elizabeth Stripling is the director of the outreach and training division for the Center for Autism and Related Disorders (CARD) at Kennedy Krieger Institute. She is also a co-facilitator of the BUDS social skills program, a collaboration with the National Aquarium in Baltimore. Dr. Stripling graduated from Texas Tech University with a bachelor's of science in human development and family studies in 1992. She was an educator in Texas for six years, and worked with students on the autism spectrum and other developmental disabilities in her classroom. Dr. Stripling received her master's degree in special education, along with her diagnostician certification from Texas Tech University in 2000. She returned the public school system as an autism specialist and diagnostician. In 2003, she received her certification in educational administration from Lubbock Christian University. Dr. Stripling received her doctoral degree in special education in 2007 and holds the distinguished title of Burkhart Fellow. © 2019 Kennedy Krieger Institute.